Thomas was born in 1880 at Parrs Cottages, The Holt. In November 1906 he married Mary Jackson and subsequently had three daughters Maria, Ivy and Elsie. He enlisted in Earlestown on 1st September 1914 (he was by then living in Lowton working as a miner). He was subsequently posted first to France with the Expeditionary Force and then to Basrah, Mesopotamia. Whilst there Thomas contracted malaria and later suffered from an ulcer on the cornea in his right eye. He went to Bombay for treatment, but unfortunately surgeons were unable to save the eye. In February 1917 he returned to England where he had a false eye fitted at Western General Hospital, Manchester and was subsequently discharged from service. Sadly, just twelve months later he died from pulmonary tuberculosis in Whiston Poor House Infirmary (Whiston Hospital). Although not killed in action Thomas' name appears on the War Memorial in St. Nicolas Churchyard, Whiston along with his brother, Samuel who sadly died in the conflict and whose story can be found on the Fallen Soldiers link to this site. 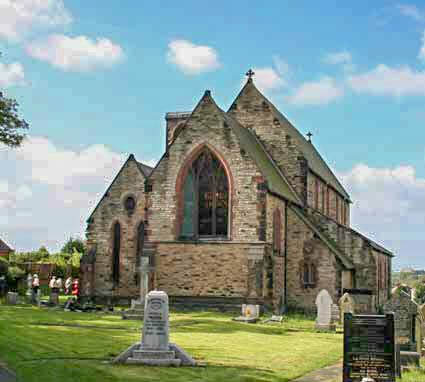 ​It is not known whether a third brother Alfred served in the War, but if he did, he survived as his name appears on the family headstone in St Ann’s Churchyard, Rainhill.